Traveling with a child can be a fun experience for you and your family, but there are also practical considerations that need to be made. While traveling, your child will still have the same needs as always, but it can become more of a challenge. In particular, flying with your kid can become tricky when you need to change his or her diaper. Here are some quick tips on how to make this experience much easier for everyone involved. Before even boarding your plane there are a few things you can do to try and make the flight as easy as possible. First- be sure to dress your child that day in something that is easy to take on and off. You will not have the time (or the space) to try and get him or her out of complicated clothes or numerous layers. It will be easier for everyone if they are dressed in something simple. Second, make sure you change your baby’s diaper as close to boarding time as possible. This gives you the largest window as possible for needing to do another changing. On a shorter flight, it might be sufficient to change your child right before boarding and right after getting off the plane. For a longer flight, you can potentially get down to only one changing instead of multiple ones during one flight. 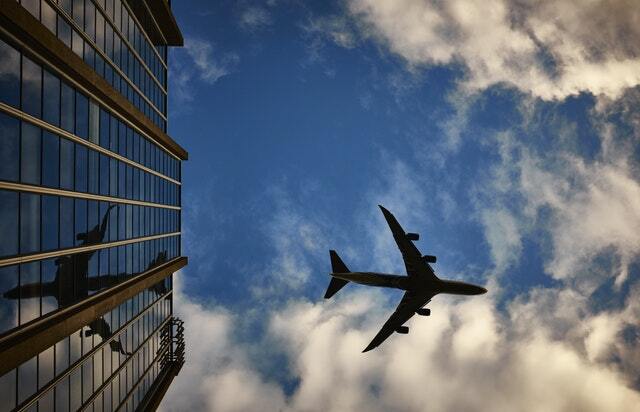 The first thing you should do when planning a trip is to check with the airline you are considering flying with. Some airlines/planes will come with a changing table in the lavatory. This will make the entire experience much easier, but unfortunately, you will not find a changing table everywhere. If you are on a smaller or shorter flight, there is a greater chance there won’t be one, but given the shorter trip time, you also have a better chance you can make the entire trip without having to change your child. If you are on a long flight, especially an international trip that is several hours, you can almost guarantee there will be a changing table- but always check in advance to be sure. The last thing you want is to be planning to have one to use, only to realize you are out of luck once you are already on the plane. The best way to ensure a smooth flight is to plan ahead and pack accordingly. Make sure to have your diaper bag with you and pack in it everything you will need. Don’t just think of the essentials (diapers, wipes, etc.) but also consider bringing a changing pad and some plastic bags. 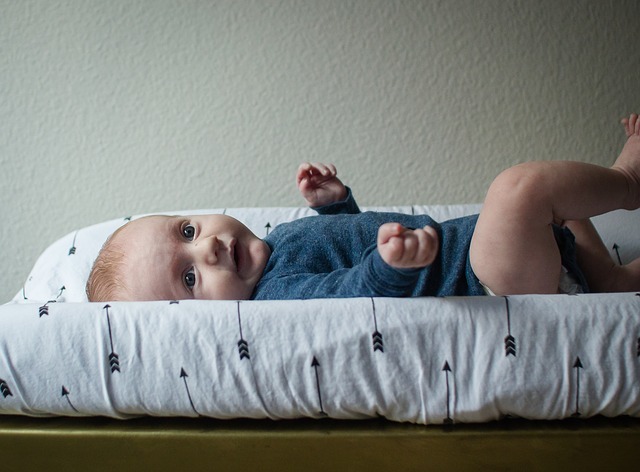 Let’s face it- airplanes are not the cleanest places you will encounter, so a changing pad can help protect your child from lying somewhere dirty. You’ll also want to seal up any dirty diapers so as to not spread a less than pleasant smell throughout the plane. Seal the bag completely and either throw it away or store it away in your diaper bag and throw it away when you get off the plane. While it is ideal having a changing table, there are plenty of times you have to pick a flight or an airline that doesn’t have one, and that is okay. If there is no changing table, consider using the bathroom and placing the toilet seat down and using that surface as your changing location. Remember our earlier tip to bring a changing pad? This will especially come in handy now. At least in this situation you will have some privacy and a flat surface to use, so you should be good to go. While it is true that your child’s health and safety is most important, you should also do your best to be considerate of other passengers on board. If you do use the plane lavatory, go as quick as you can so as to free up the space for other passengers. Never sacrifice safety, but don’t let changing time turn into play time while a line forms outside the door. You should also heavily consider not changing your child’s diaper at your seat. If you have absolutely no other options, that is one thing, but in other situations, it is best to go in the lavatory. Using a seat or tray table to lay your child down is not the safest or cleanest way of doing things, and other passengers will likely be less than thrilled with your decision. If you are just changing a wet diaper, you can maybe get away with it, but a dirty diaper should never be changed in your seat unless it is a dire emergency. Flying with a child can lead to many unexpected obstacles, but there is still plenty you can do to plan in advance. When it comes to changing diapers, try to select an airline that has a changing table in the lavatory. If not, a closed toilet seat can do the trick. Pack your essential items, dress baby in something simple, change the diaper at the gate, and you will be well prepared for your flight! Always be respectful of the people around you, but not at the expense of your child’s health. When in doubt, ask your flight attendant what your best option is and explain your situation. They might know of something you don’t (such as a changing table in a lavatory in another section of the plane) or have learned a smart trick from a previous parent on their plane. They can also help deal with any rude passengers you might run into.